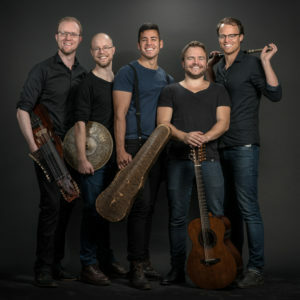 The award-winning Swedish quintet Jaerv, present an extroverted, vigorous and heartfelt folk music with influences from both jazz and pop music. Together, the five members have created a homogeneous, vivid sound which has established Jaerv on the folk music scene as well as in many other forums. Rooted in several different musical traditions, Jaerv offers a varied stage performance where vocal, five-voiced tunes blend in with energetic dances and free improvisations. Jaerv is an internationally well known act and has toured the U.S., Japan, Spain, Scotland, Ireland, Finland and Norway among other countries. Their discography includes Inrikes (2009), Vol 2 (2014) and the brand new and critically acclaimed album Under den linden (2016). 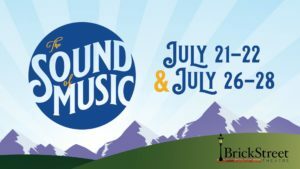 The Sound of Music is a musical with music by Richard Rodgers, lyrics by Oscar Hammerstein II and a book by Howard Lindsay and Russel Crouse. It is based on the memoir of real life Maria Von Trapp. Set in Austria on the eve of the Anschluss in 1938, the musical tells the story of Maria, who takes a job as governess to a large family while she decides whether to become a nun. She falls in love with the children, and eventually their widowed father,Captain von Trapp. He is ordered to accept a commission in the German navy, but he opposes the Nazis. Many songs from the musical have become standards, such as “Edelweiss”, “My Favorite Things”, “Climb Ev’ry Mountain”, “Do-Re-Mi”, and the title song “The Sound of Music”. Directed by Lynnea Fredrickson-Smith and Nathaniel Hedin-Schmidt. Sail On: The Beach Boys Tribute focuses on performing songs by America’s Band, The Beach Boys, to sheer perfection. Members of Sail On have performed with musicians from Brian Wilson’s band, The Zombies, Earth Wind and Fire, Cheap Trick, Mark Lindsay and produced recordings for Micky Dolenz. 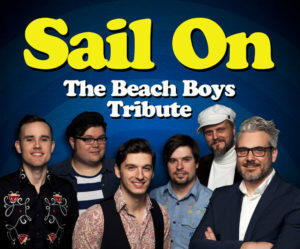 In 2018 Sail on performed over 70 dates across the country, including 3 nights filling in for Brian Wilson of The Beach Boys, while accompanied by the famous Nashville Symphony.